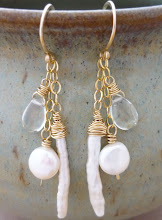 MiShel Designs: 2 For 1 Today! Yep, today's post is a 2-for-1! 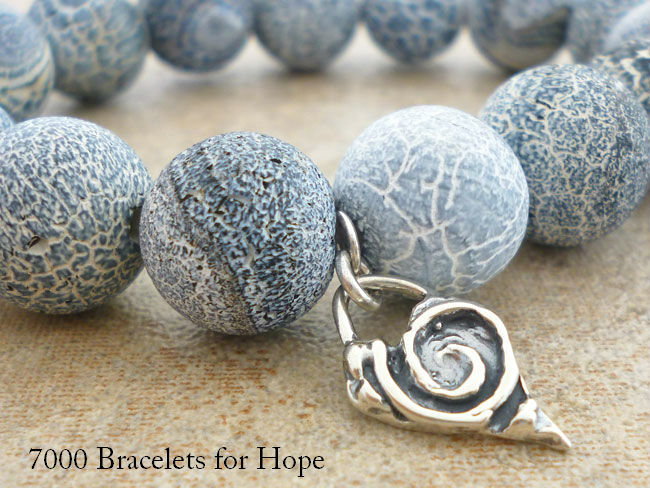 It's not only the Echo Creative Club's February reveal date and blog hop, but it's also the reveal date for the 7000 Bracelets for Hope Blog Hop! Woo Hoo!! So, first up, Echo Creative Club, which is the brainchild of Jeannie Dukic over at Jeannie's Blog, is a monthly challenge and blog hop where everyone who's participating that month creates something really cool with either Jeannie's 'Peeled Paint' beads or her beautiful 'Gin Blossom' pendants that she makes. It's a fun way to stretch our creativity and try different colors and art beads in our designs that we might not have tried before. 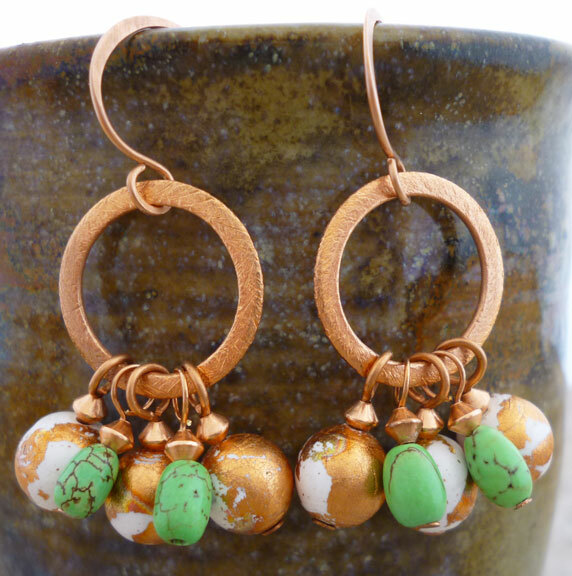 I've asked Jeannie to surprise me on the month's I'm participating (April, September, October and November) with whatever she wants to send me and this month she sent me some of her 8mm Variegated Copper Peeled Paint Beads. Pretty, aren't they?! 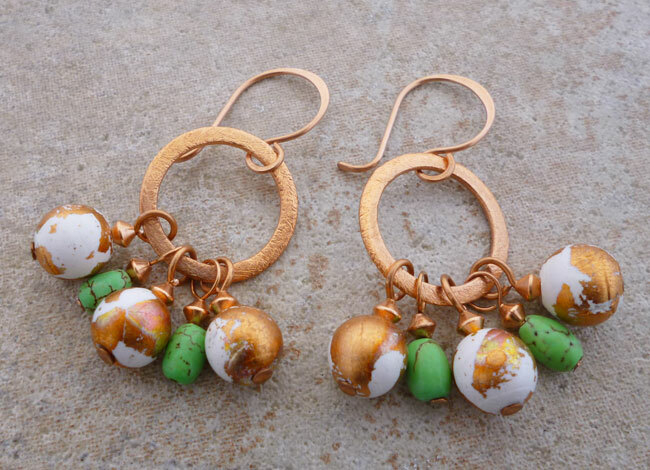 I chose to create a pair of earrings this go-around. Whatcha think?? Here's a list of the other Echo Creative Club members who are participating this month. It would be really nice of you to drop by each one of their blogs and check out what they created and leave them a lovely comment. And, I'm sure it would be greatly apprecaited, too! Christine Altmiller of One Kiss Creations. 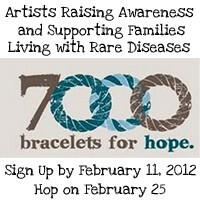 The 7000 Bracelets of Hope is a project to raise awareness for people suffering from rare diseases. 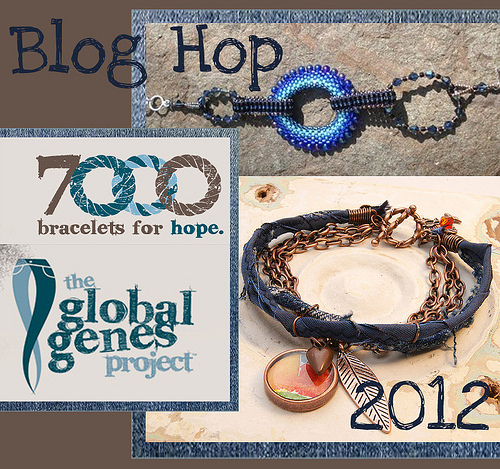 You can read more about the 7000 Bracelets of Hope project and The Global Genes Project here. We were to create a bracelet that is blue in color (Kinda like blue-jeans,...get it 'genes') that could be adjustable to fit a size 6 to 8 inch wrist and then send it off, along with a note to the family who will receive it, to the address on the 7000 Bracelets of Hope / Global Genes Project website so that it can be given to someone who helps or cares for those with a rare disease. of MiShel Designs - "Global Love"
So, here's the bracelet that I created for the 7000 Bracelet of Hope Blog Hop. I sent this off, along with a note to the family and I truly hope it brightens someone's day and shows them they're appreciated! 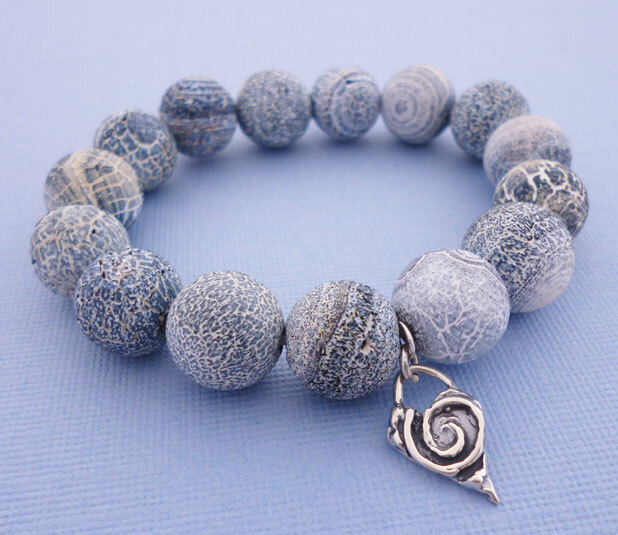 Little round, blue lava beads represent our "Globe/World". "Love" for all those with a Rare Disease. 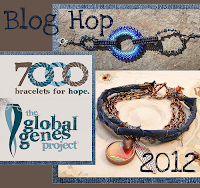 Here's the list of the other 7000 Bracelets of Hope Blog Hop Participants. Won't you please check out all the cool bracelets they created. I know you'll love them! Two challenge reveals in one day? Wow! I love the earrings with Jeannie's beads! And the blue lava! The recipient will love it! 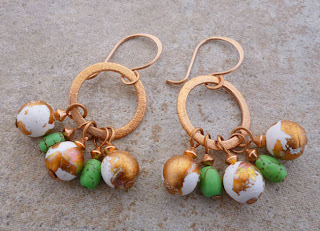 Your earrings for the Echo Creative Club are so wonderful. I love how you paired them with the green. 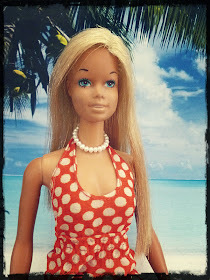 So fun and summery. Your work is beautiful. Wow!!! Two in one day you go girl! Those lava beads are gorgeous - a stunning bracelet anyone would LOVE!!! That bracelet truly looks like a pair of favorite faded old jeans! What great beads...and the heart charm is perfect! Lovely bracelet :-) Thanks so much for hopping! I LOVE the green with Jeannie's beads! I have that color in my stash and I keep thinking this, then that, and I just love what I'm seeing. The blue beads are GREAT! I love unique beads. Your bracelet is beautiful. Each individual bead is so unique, yet they work perfectly together. Thanks for sharing! Oh, and the added bonus of seeing your earrings was great! 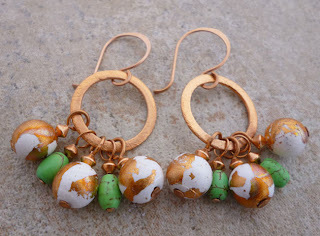 So pretty....I love those lava beads, and your charm is perfect...I'm also loving the earrings from the other blog hop!! Love the earrings and the bracelet. You're right about those peeling paint beads - way cool! Beautiful pieces! Those blue beads with that heart charm = gorgeous!! Love it! The blue lava is soooooo soothing in its tranquility. 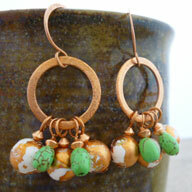 The earrings are yummy! Goodness, you've been busy! Two reveals in ONE day. Whew! As well, your bracelet design is so beautiful in its simplicity. It really gives a sense of calm that I'm sure the family who receives it desperately needs. Wonderful work on both counts! Shel, your earrings are just plain beautiful, and I absolutely love the bracelet you made for the 7000 Bracelets of Hope. Beautiful job! The earrings are drop dead gorgeous! They would look so pretty with a summer sun dress and some copper bangles. Thank you for creating such beauty. First the earrings are so very pretty and I bet they make happy noises when you wear them. 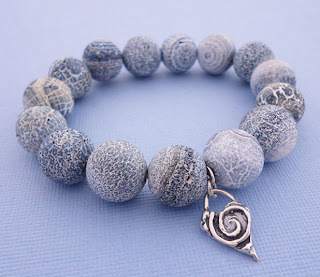 Second the bracelet is gorgeous I love the blue lava rock beads and I am sure the person receiving the bracelet will too. I have never seen quite that shade of blue in those awesome beads in the bracelet - they are stunning! Love the charm, as well! The earring design is fun! I do love those peeling paint beads! Someone's so lucky to be receiving this special bracelet. Beautiful beads. And congrats on your selection for the design team...can't wait to see what you create. 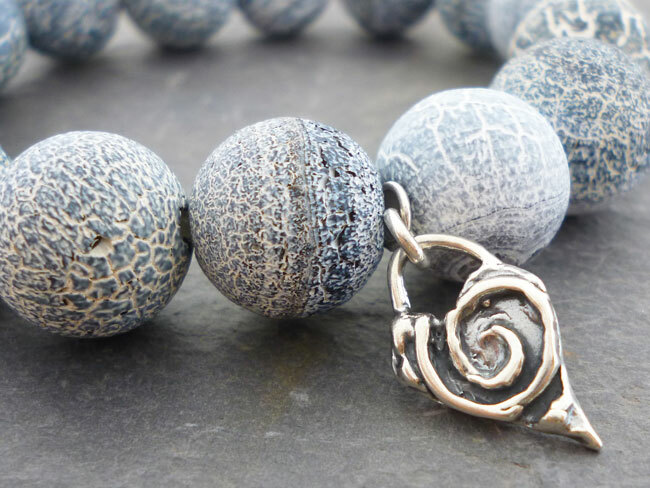 I just love the blue lava beads with a silver heart I coincidentally just saw on etsy yesterday... such a gorgeous gift, the recipient will be thrilled. 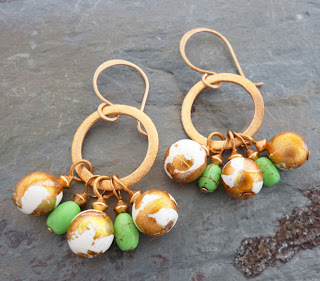 I love these earrings - what a fun design! The bracelet is great too - love the lava beads!! Oh, I can feel spring coming! Your design is so fresh and the colors are perfect for the first rays of sunshine and taking a walk outside. 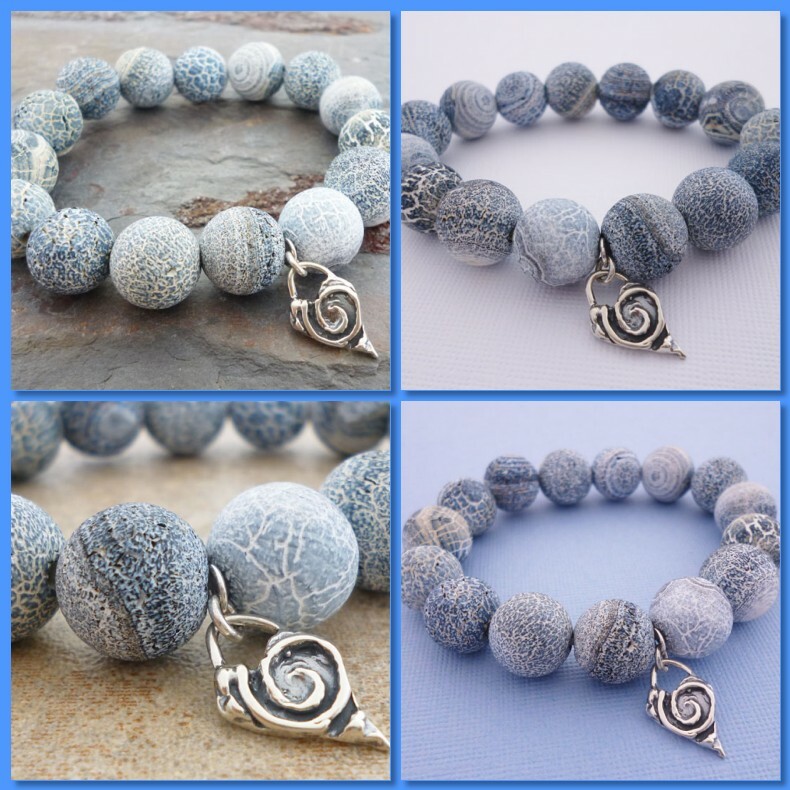 Those blue lava beads are so unusual. I've never seen anything like them! Your bracelet is beautiful. Whoever receives it will be very lucky! Shel, both designs are wonderful! 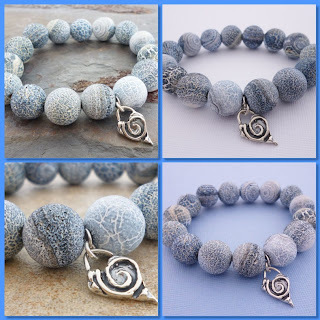 I love the blue lava beads you used in your bracelet! They are fabulous! So unique!! Beautiful work! Love both designs. 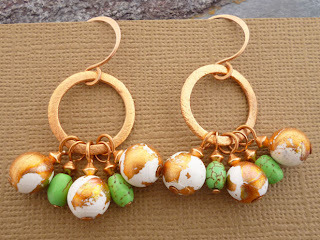 The earrings are so summery, great color combination; and the bracelet, a simple design that says so much. Your bracelet is amazing with a soft look to it, wonderful pieces! I love your bracelet! 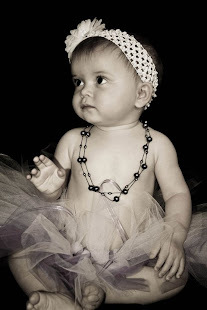 Those beads are just gorgeous! And your earrings are so cute! I love that color combo. Beautiful earrings and I love the stones in the bracelet! And you knocked it out of the park with both of your reveals! Love the earrings, you showcased her beads perfectly. And the blue jean color of the bracelet is just spot on! You are a seriously talented lady! Awesome choice of beads for you bracelet. I LOVE IT! P.S. The bracelet also looks lovely! 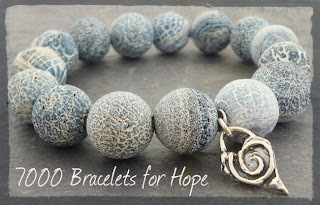 Also, thanks to all who've stopped by this weekend for both the Echo Creative Club Reveal and for the 7000 Bracelets for Hope Blog Hop - I appreciate all your compliments so much - they made my weekend!! Shel, uhm, wow, two challenges for the same day? You are motivated, that's for sure! Anyway, love those earrings! Those chippy beads are super cool. And the bracelet? *LOVE* it! Those blue beads are just incredible. 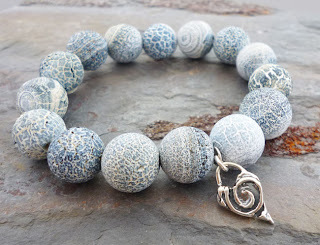 Beautiful stones - lovely design!